I have been planning on getting a survival knife for quite some time, so when I was offered a promotional discount on this Survival Folding Knife, Multitool by Survival Hax, how could I refuse? At first glance you might think that this is a typical lock blade pocket knife, but it is so much more. 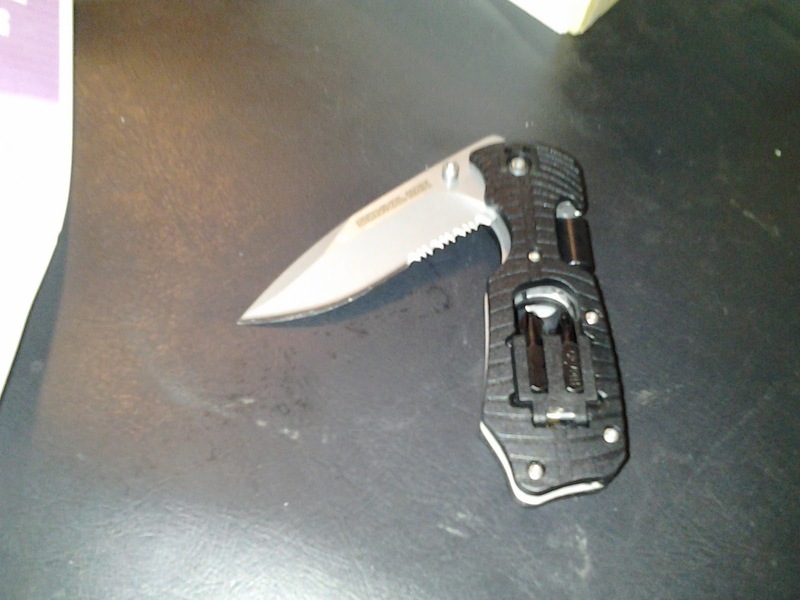 It has a serrated blade which makes it great for hunting, fishing or tactical activities. Now, take a closer look at the handle. As you can see it has both Phillips and flat head screwdrivers included in the handle. It also has a 1/4 inch hex drive and a bottle opener. You may not need instructions but it is nice to know they are included for those who need them. This is a nice pocket survival knife, perfect for hunting, fishing, or other activities, or for your bugout bag.